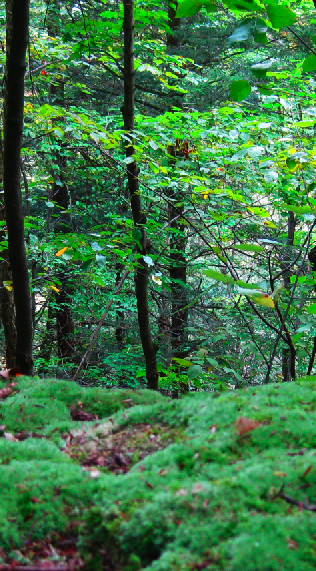 As a child we would hike in a beautiful but remote area south of our cottage. It was called Carpenter falls. I remember a VERY long hike in the creek with a pair of sneakers so you did not cut your feet and 2 beautiful, but scarily high, stare over the cliff edge and get dizzy, water falls. Recently this land has been purchased and is now protected by the Finger Lakes Land Trust which is working to preserve more of the adjacent Skaneatleles highlands. Carpenters Falls is a 80′ waterfall on Bear Swamp Creek which feeds into Skaneateles Lake, about halfway down the western side of the lake. There is a second falls, Angel Falls, that is only visible after after a strenuous climb down the steep sides of the gorge. Carpenter Falls was once a center of industry. 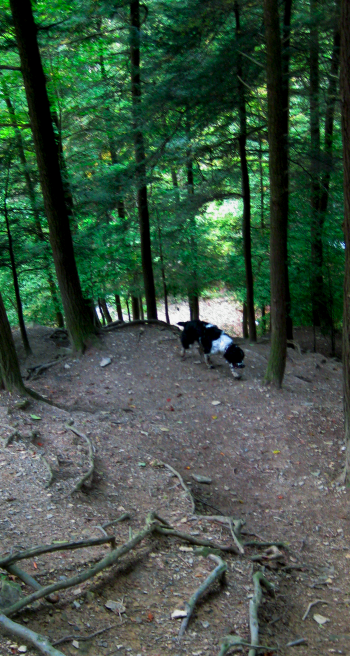 In fact the trail was known as the jug path where the thirsty could hike to a distillery that was located on site. Remnants of the former commerce boom are still visible in near by New Hope, home of the New Hope Mills, maker of delicious pancake mixes and flours. Plan on a least 2 hours to hike all the way to the lake plus take the spur trails to both falls. Bring a drink and decent hiking shoes (plus bug spray) as it can be thirsty hiking with lots of steep ups and downs to access the falls. 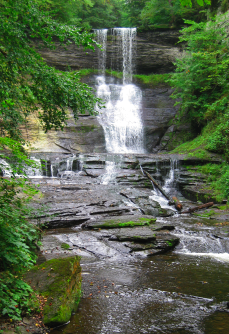 You will be rewarded with 2 very beautiful and unique waterfalls, relatively unknown by visitors to Upstate New York. Directions – Take Rt. 20 towards Skaneateles until you reach Rt. 41A (west lake road). Travel south down West Lake Road for 11 miles until you see Apple Tree Point Road on your left. Go down Apple Tree Point Road for 0.5 miles and you’ll see a small parking area on your left. There is a small kiosk with information about the park and pointers leading to the different falls. Don’t be surprised if you miss it, it is not well marked and has none of the usual state park-type signage. Entry filed under: Activities, Skaneateles Lake. 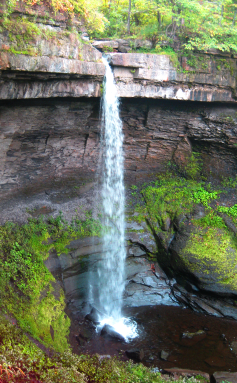 Tags: Carpenter Falls, finger lakes, New York, Skaneateles, Skaneateles Lake. Nice article. Might I also suggest Grimes Glen and Hi-Tor near Naples,NY at the south end of Canandaigua Lake. Many beautiful waterfalls. Carpenters Falls looks like a trip worth taking. I might also suggest Sweedler Nature Preserve near Ithaca for another very nice group of waterfalls. Thanks for posting and giving so much details. Which is the best time of year to see this falls when there is a good flow of water? Thanks again! That is a great question. When I was there last fall there was plenty of water. However, in the past I have been hiking up the near-dry creek bed (mid-summer) when suddenly the water level rises to several inches. I am guessing that water levels are controlled further upstream. Don’t miss it. It really is an undiscovered gem. I spent summers at Lourdes Camp on beautiful Skaneateles Lake. We would always trek to Carpenters Falls and swim, walk behind the falls and just enjoy this relatively quiet and remote place. That was a hundred years ago, nice to see people are enjoying it and that a trust is helping to maintain the integrity.